The Micro Focus terminal emulation report evaluates the current state of this mature market. Over the past 6 months, Micro Focus conducted hundreds of interviews of customers, partners, and industry leaders to get the status of the trends and realities of the terminal emulation market. 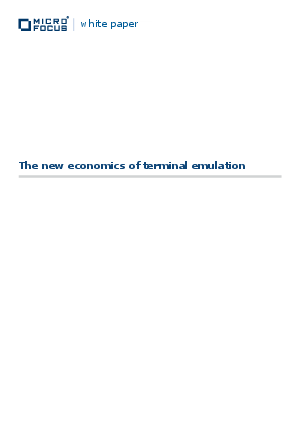 Major analyst firms no longer cover terminal emulation as a market segment. Customer have been left on their own to make terminal emulation decisions regarding operating system, security, and usability upgrades. Because of this, Micro Focus wanted to provide a snapshot of the industry to help customers make better decisions in their IT environments.